With Follow Me drone technology, the UAV is programmed to automatically follow you around, giving you many opportunities to film unique aerial shots. At present there are 2 types of drone Follow Me technology. Here, we look at the technology used in drones that follow you. Then, we review the 12 best follow me drones on the market right now, with some terrific videos along the way. We review drones that follow you from DJI, Walkera, Yuneec, AirDog, Hover and many more including the Swellpro waterproof follow drone. Drones that follow you came on the scene in 2016 and the follow me innovation has continued ever since. Many drones with follow me GPS mode, also have many other intelligent flight systems (Orbit, ActiveTrack, Points of Interest, Waypoints, Circle, Terrain Follow etc) giving you even more flying and filming options. Having a drone that follows you has many benefits including capturing great moving selfies with your loved ones and capturing your adventures in very scenic locations. We are also seeing many athletes, cyclists and mountaineers use follow me GPS drones to film from various angles with the ultimate goal of improving their technique. Flying using the drone in Follow Me mode is also terrific fun. Follow me mode is pretty amazing technology. Most of the drones featured below are being used professionally as they have exceptional cameras and stabilization. You can read further on the many uses for drones here. The article also excellent videos. 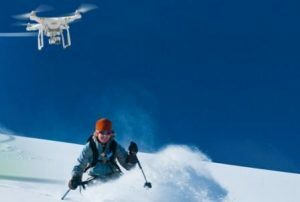 Having a drone that follows you along with having a 4k camera, then you know you will capture the best film and still photos of your adventures. To go with this article, also check in on our article of the best 4k drones on the market. Follow Me is an intelligent fight mode which turns your drone into a hands-free aerial camera crew. We are now seeing 2 types of Follow Me technology in use. There is the GSC with Follow Me GPS transmitter technology and the latest using recognition software such as DJI ActiveTrack. Many follow me mode drones use a GPS enabled device such as a mobile phone, tablet or a Ground Station Controller (GSC) along with a transmitter (wearable transmitter or mobile phone). The drone is programmed to follow the transmitter and to keep the subject in the picture at all times. Follow me technology creates a virtual tether between the drone and a GPS-equipped mobile device, which allows the drone to track you or another subject in motion. Most Follow me UAVs, can also remain stationary and track the subject by rotating, or it can move along with the subject. The AirDog featured further down is an example of this type of drone follow technology. Other drones such as the Holy Stone HS700 Ophelia with basic follow me mode use the GSC as the transmitter. So the drone is basically programmed to follow the transmitter in the remote controller and to keep the subject in the picture at all times. Sensors and recognition technology, along with software algorithms give UAVs the ability to recognize and follow a person or object. This deep learning following drone technology allows the UAV to track a moving subject without a separate GPS tracker. You can see from the above list that DJI are the leading manufacture of drones with follow you technology. In DJI quadcopters, the software is called ActiveTrack and is built into the DJI Pilot Go 4 App and Assistant software for the Phantom 4 and Mavic quadcopters. The latest ActiveTrack 2.0 on the Mavic 2 quadcopter can recognize up to 16 separate objects on screen. You then choose the object or person to follow on screen in the DJI Go 4 app. The software to program Follow Me is generally built into the overall drone application. DJI have their GO 4 App. 3DR drones use their SOLO App and the Arducopter d-i-y drone uses Mission Planner software. Other manufacturers build the follow me mode software into the Ground Station Controller (GSC) such as Walkera. With a couple of clicks you program what you want to follow or track. The software is pretty sophisticated using algorithms and calculations to track and keep the object in view at all times. Most Follow Me applications allow you to program the gimbal and camera with pre-set flight distances, height and angles giving your video very unique cinematic perspectives. Each UAV manufacturer use different ranges with their follow me technology. It is probably best to keep the distance short in the beginning as you get to know your drone. If too much distance is allowed between the GSC and the transmitter, the two could lose their connection. With DJI, drones such as the Phantom 4, the GPS is very strong at a height of 30 meters (98.4 feet) and a distance of 20 meters (66.5 feet). DJI drones can follow you at a much further distance than this. The 3DR SOLO drone allows for a distance between the Ground Station Controller and the mobile device of up to 150 meters (492 feet). My advice is to keep the distance short in the beginning. It is good to remember that the vast majority of Follow Me mode drones do not have object avoidance. Follow Me mode is great in wide open spaces or where there is enough space so that their is no break in the GPS signal. Best practice is to plan your your route and be mindful or any obstacles that your drone could potentially crash into. You can also program your drone to fly above obstacles. Nearly every drone today allows you to set a home point or a return to home function. It is always best practice to set your home point. Remember to keep an eye on your battery and warnings. Don’t get so carried away with follow me filming that you run low on battery power. Almost all of these drones featured below have extra intelligent flight modes such as Waypoints, Orbit, Points Of Interest which give you much more great filming angles and opportunities. All of the drones below have tremendous gimbal and camera stabilization technologies for capturing awesome video and stills. Theses drones are all very easy to fly. In our article entitled how to fly a quadcopter, we have excellent videos which show you just how easy it is to fly these latest drones. The Mavic Pro drone has so many Follow Me autopilot modes. The Mavic is almost pocket sized, has a 4k camera and a 4.3 mile transmission range. It has 4 vision sensors, high precision satellite navigation and latest flight controls systems giving it the best autopilot systems to date. Having great follow me modes is terrific. However, without collision avoidance you have to be constantly aware of where you are flying and filming. Otherwise you can crash very easily. Now the Mavic Pro has 4 vision sensors telling its flight control system what’s below and in front. These vision sensors also work indoors giving it the smoothest flying and hovering of any drone to date. Here is some of the autopilot systems. ActiveTrack is the intelligent technology which gives you the various autopilot modes to follow, track and film with. The Mavic Pro has the following autopilot modes. Note: Read further on the many features in this Mavic Pro Highlights and FAQs article. The Mavic Pro is being used for many applications outside of follow me filming. Because of its flight stability and excellent camera, it is being used for aerial cinematography, site surveying, 3D imaging of landscape and sculptures. This market is very competitive at the moment and the DJI Mavic Pro Combo offer is excellent. In this offer, you receive the Mavic Pro quadcopter along with a spare battery, spare propeller set, charging hub, car charger and shoulder bag. Now here’s a terrific video and tutorial about the Mavic Pro Active Track Follow Me modes. The new Mavic 2 Pro and Mavic 2 Zoom were just released on 23rd August 2018. These are almost identical in looks as the Mavic Pro above. 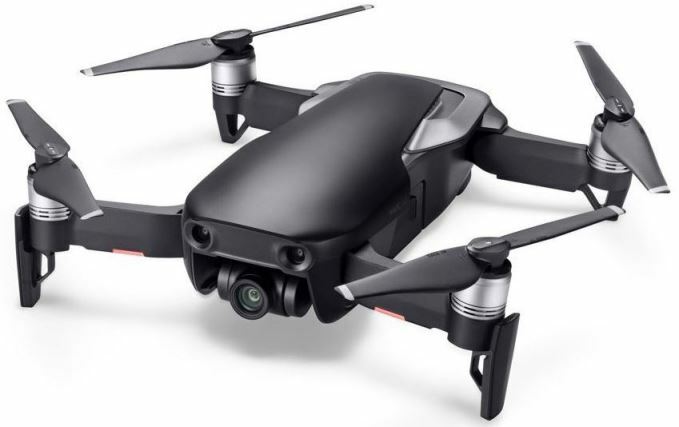 However, these new Mavic 2 editions are a massive improvement in nearly every aspect over the Mavic Pro, including better camera performance, video transmission, fight time, flight speed, less noise, omnidirectional obstacle sensing, intelligent flight modes and its unique Hyperlapse feature. These new Mavic 2 drones can sense objects on all 6 sides. They can also fly around obstacles in front and behind using it’s Advanced Pilot Assistance System (APAS). Both Mavic 2 editions have the latest cameras and use DJI’s latest 3 axis gimbal and camera technology, which guarantee smooth, stable footage in just about any situation. The filming output is absolutely stunning from the Mavic 2. The Mavic 2 uses the DJI ActiveTrack 2.0 technology and can sense up to 16 subjects or persons as they become selectable on the screen in the DJI Go 4 app. You can then choose the right subject to track. The Mavic 2 quadcopter will adjust its flight to track the person or object. ActiveTrack follows you even when running, jumping, or cycling. It can follow people, bicycles, cars and boats etc. The DJI Mavic 2 follow technology is even better than on their previous drones. The Mavic 2 Pro and Zoom has better and more precise recognition of objects than previous drones. It uses smart new technology for trajectory prediction of objects and has high speed tracking of up to 45 mph (72 km/h). Trace Mode: This Mavic 2 Trace mode tracks the subject at a constant distance. It follows the subject and keeps it in the frame. Spotlight Mode: The Mavic 2 Spotlight mode does not track a subject automatically but keeps the camera pointing in the direction of the subject during flight. Parallel Mode: The Mavic 2 Parallel tracks the subject at a constant angle and distance from the front and side. Read the full Mavic 2 Pro and Mavic 2 Zoom review here, which includes terrific videos which show you everything there is to know about these top innovative drones. Now, here is a terrific video, which shows you the Mavic 2 follow me ActiveTrack in action. 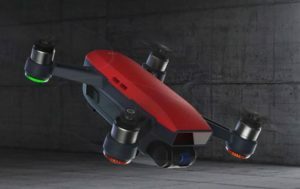 The DJI Mavic Air drone, which was only released in January 2018, uses ActiveTrack Follow Me technology. DJI’s ActiveTrack technology doesn’t require an external tracking device. The quadcopter just needs to be in P-mode and flying using your mobile device and DJI Go 4 app. The Mavic Air ActiveTrack follow me technology can sense up to 16 subjects or persons. You can then select which person you want to follow in the DJI Go 4 app. With this being DJI’s latest drone on the market, the ActiveTrack follow you technology is much more precise than in the Phantom 4 Pro, Mavic Pro or Spark whether the person is running, jumping, or cycling. It can follow people, bicycles, cars and boats etc. Trace Mode: Tracks the subject at a constant distance. It follows the subject and keeps it in the frame. Spotlight Mode: Keeps the camera pointing at the subject during flight. Profile Mode: Locks the subject in the frame at a constant angle and distance from the side. This latest DJI Mavic Air has more than just the ActiveTrack Follow Me technology. It comes with many intelligent flight modes such as QuickShots, SmartCapture, Tripod mode, Cinematic modes, TapFly and Points of Interest. Let’s take a quick look at some more if the Mavic Air’s innovative technology. If you want to focus on your aerial filming or photography, then choose the Mavic Air TapFly mode in the DJI GO 4 app. TapFly lets you fly wherever you tap on your mobile device screen in the DJI Go 4 app. TapFly works in Forward, Backward, Free, and Coordinate modes. Forward: The Mavic Air will fly towards the target using the Forward Vision System sensing obstacles. Backward: The Mavic Air will fly in the opposite direction of the target using the Backward Vision System sensing obstacles. Free: The Mavic air will fly toward the target. However you can also use the remote controller to maneuver the orientation of the quadcopter freely. With Points Of Interest, you select a subject or object and set the circle radius, flight altitude, speed, the the aircraft will fly around the subject according to the parameters. The Mavic Air can take off, fly and land using hand gestures. It also recognizes faces using it FaceAware technology and can film and take snaps using hand gestures. There is so much more to this new quadcopter. You can read a quick review along with checking out the latest Mavic Air bundles here. Now here is a nice video showing you how ActiveTrack Follow Me technology works on the Mavic Air. This latest DJI Spark mini drone was released in May 2017 and is specifically designed for taking drone selfies and following you around. It is very much a fun drone. However, this drone is not lacking in technology or filming capabilities. Their is a lot of tremendous technology which makes the Spark quadcopter super easy to fly and film with. It takes off from your hand and has plenty of intelligent flight modes to capture you movements. This new DJI Spark comes with dual GPS systems, intelligent return to home features, obstacle detection and avoidance safety systems. Here are some of the highlights of the DJI Spark follow quadcopter. This Spark has deep learning gesture recognition which allows you to take selfies with simple hand motions. The DJI Spark has many more terrific features and you can read more and watch some terrific footage in our DJI Spark Review. Highlighted in the earlier video, this UAV uses the ActiveTrack recognition technology to follow and film you. Along with Follow Me Mode, the Phantom 4 Pro has so many other intelligent flight modes. This quadcopter has terrific stabilization, a 4k camera which films spectacularly. The Phantom 4 also has the latest collision avoidance sensors which mean that it will stop or avoid any obstacle it encounters. Without collision avoidance, if you overlook an obstacle in the follow me path, then unfortunately the mission will have an unhappy ending. 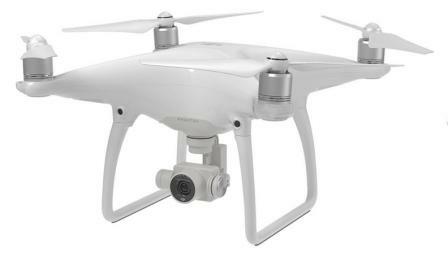 Along with the latest Follow Me technology, this Phantom 4 is very adaptable and is being used by professional cinematographers, site surveyors and marketing companies. The Phantom 4 is an excellent choice if you need to create 3D maps of land areas or a 3D models of structures or buildings. To create 3D maps or models, all you need is a Phantom 4 quadcopter along with a top photogrammetry software application. The Phantom 4 Pro is so adaptable and can be used in almost every sector which requires an aerial solution. For me, the Phantom 4 is by far the best value drone on the market. For all the latest autonomous flight modes, obstacle avoidance, terrific stabilization and a 4k camera, the Phantom 4 Pro is perhaps the best value for money quadcopter on the market. Note: DJI are always running special offers. Also with this market being so competitive, prices are dropping all the time. You can view the latest Phantom 4 Pro bundle offers here, along with reading and watching videos on more of its fantastic features. Now, here’s a tremendous positive use of drone Follow Me technology. Look how this athlete in the below video is benefiting from using a drone with Follow Me mode. The below video also shows you how easy it is to setup the ActiveTrack Follow Me mode on the Phantom 4. This next video is test to see how good the Phantom 4 Active Track is at following various objects such as a car, train, person on a scooter, a beech ball and a scary spider etc. This gives you an idea of what you can film with the Phantom 4 and Phantom 4 Pro. The DJI Inspire 2 is the best professional filming drone on the market today. Top Hollywood Producers would be proud of the cinematic output from the Inspire 2. In fact, a short film called “The Circle” was created in full using the Inspire 2 where both aerial and ground shots where filmed with this quadcopter. To be able to film both aerial and ground shots, the DJI Inspire 2 bundle comes with a ground gimbal so you can film everything with it. The DJI Inspire 2 is the drone for Hollywood quality filming. You can read more on the fantastic features of the Inspire 2 in this terrific DJI Inspire 2 review and can find the latest Inspire 2 bundle offers here. Below is a quick video look at the follow you modes on the Inspire 2. From Aerial Drone with many intelligent flight systems to racing drones, gimbals and cameras, Walkera Technology Co have a vast range. Both of these drone use the Follow Me GPS mode with Ground Station Controller. Both of these are fantastic drones. Walkera never hold back when it comes to technology. The Voyager 4 is very similar to the DJI Inspire 1 and has some tremendous technology. The Scout X4 drone has may additional flight modes such as designated flight with 128 Waypoints, Orbit Object along with Follow Me mode. The Walkera Voyager 4 has an unbelievable 18x optical zoom lens along 4k filming camera. This Voyager can do some serious site surveying getting clear pictures and film without having to get too close to a structure. The Voyager 5 is the latest professional industrial drone from Walkera, released in early 2018. 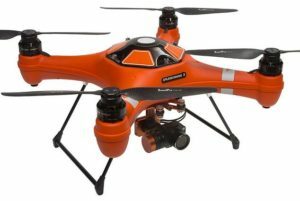 The powerful Voyager 5 quadcopter integrates many flight safety systems including dual IMU, dual compass, and dual GPS system, in order to make it very reliable and safe. The Voyager 5 has a specially designed 3 axis gimbal to enable more stabilized footage. It uses an advanced shock absorption gimbal technology, which greatly reduces vibration and movement during flight, enabling the camera to capture stabilized and fluid footage even after magnifying the focal length. The Voyager 5 has front and downward collision avoidance technology. The front facing infrared obstacle avoidance module, altimeter and optical flow positioning module, enable the Voyager 5 to better position and sense obstacles while flying, greatly reducing risks caused of crashes. The Voyager 5 can detect obstacles up to 16 feet (5 meters) in front with a 30° horizontal and ±30° vertical field of view. The downward vision sensor on the Voyager 5 works from an altitude of less than 10 feet (3 meters). Surfaces should have rich patterns and the lighting should be sufficient. This Walkera Vitus is their latest release. This mini foldup drone from Walkera uses SmartFollow. Using algorithm technology, objects can be automatically identified and followed. All you need to do is tap the screen on where you want the Vitus to follow. Very simple. It has a number of intelligent flight modes for following such as Orbit and Waypoint fly. Here is an excellent video on this new pocket sized drone from Walkera. Equipped with six rotors, a 360-degree gimbal camera, retractable landing gear, many intelligent flight modes, the Typhoon H is among the best drones available today. Add-ons include a high performance collision avoidance module based on Intel® RealSense™ Technology and an advanced IR camera module. The 360-degree gimbal with the new CGO3+ camera allows unlimited panning for breathtaking 4K videos and 12 megapixel stills. The landing gear retracts during flight to seamlessly remove itself from the shot for unobstructed views. Follow Me Mode: There are 2 ways to setup Follow Me mode on the Typhoon H. You have the normal GPS Transmitter / GSC follow me mode. Follow Me using Wizard Control: The Typhoon H comes with a Controller Wizard stick. This is a mini stick which you can control the drone to fly, follow and film you. The Wizard control can be used on its own or in conjunction with your mobile device. The Typhoon H drone comes with many flight modes for capturing unique aerial perspectives. These new flight and image capture modes include Follow Me, Point of Interest, Orbit, Curved Cable and Journey. Orbit – Typhoon H flies a circular path around you, keeping the camera trained on you the whole time. Point of Interest – Select a subject and Typhoon H will orbit that subject autonomously. Curve Cable Cam – Program an invisible route for Typhoon H to fly along. Typhoon H will fly between pre-set coordinates while independently controlling camera position. Journey – Typhoon H will go up and out, as far as 150 feet, and capture the perfect aerial selfie. This Typhoon H is being used by professional aerial cinematographers in a multitude of sectors. It has options to mount a thermal vision camera which makes it a big favorite of fire departments and SAR teams. It flies super stable and has an excellent camera and can be used to create excellent photogrammetry mosaics and 3D images. 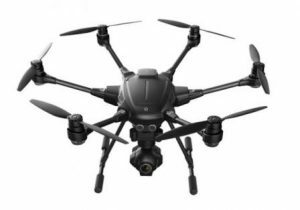 Check out the Typhoon H over on the Yuneec website. This is a terrific multirotor. With the Typhoon H, you’re are getting all the latest technology, collision avoidance, autonomous flight modes, a 4k camera and a real smooth flying experience. Now here is a 2 terrific videos of Yuneec Typhoon H Watch Me / Follow Me technology. The Yuneec Typhoon H can follow an object at up to 50 mph. The light, compact, high spec and fun drone from Yuneec was released in late 2016. It is controlled by your iOS or Android device (smartphone or tablet) using the Breeze Cam app and weighs just under 1 pound. For its size, the 4K Ultra High Definition camera on the Yuneec Breeze films absolutely beautifully. It is simple to fly and the Breeze is ready to go out of the box. Featuring breathtaking 4K Ultra High Definition and ultra-clear 13 megapixel stills, Breeze is just as capable as drones twice its size. You can also enjoy a live 720 HD live stream of your flight on your smart device. The Yuneec Breeze has 5 automated flight modes; Pilot, Selfie, Orbit, Journey, and VisionTrack. This Breeze drone is very extra safety sensors built in. It has optical flow and infrared positioning sensors which allow it to hold its position both indoors and outdoors. These sensors also keep the drone very stable. In other words, this drone won’t drone no matter your environment. Additionally, there is an auto-landing and auto return-to-home feature – no flight experience is necessary. The Yuneec is absolutely fantastic. It compact, easy to fly and great fun. It is also a pretty quiet drone. With the drone sector changing from week to week, well so do the prices. Note: You can read more and find out the latest Yuneec Breeze price here. It a terrific quadcopter and very affordable. Here is a terrific a real thorough test of the Yuneec Breeze which takes you through all the various flight modes for filming. You can also fly the Hexo+ with a mobile device acting like a magic wand. Pretty cool indeed. The AirDog is a small, fast, agile and foldable quadcopter specifically designed for filmmakers and action sports enthusiasts who use GoPro cameras. It is waterproof, tough and ultra reliable. Setting up Follow Me mode is very simple. It is programmed from the wearable wrist device called the AirLeash. The AirDog will takes off, follow you and it also lands autonomously. You can make altitude, distance and angle adjustments easily while the AirDog is flying. There is also a Smartphone App where various flight modes can be adjusted or new flight modes can be downloaded and programmed. While this drone may not look as elegant as some of the others, it does what it is designed to do extremely well. The engineers over at AirDog worked with athletes from many sports to create various sports modes such as Wakeboard (Cable Park), MTB, Surf, Windsurf, Backcountry with many more in development. The Hover Camera comes in at only 238 grams and will fly for 10-13 minutes. The software tracks you using your smartphone. The Hover camera also has the ability to shoot video in 4K resolution. Here is a nice video introducing you to the Hover Follow You Camera drone. It certainly was a massive hit at CES 2017. The Splash Drone 3 AUTO is an all weather, waterproof drone. This quadcopter has a terrific camera, plenty of flight modes and is waterproof allowing you to fly in the rain, over rivers, lakes and the sea in confidence. Many of us fly and film over rivers, lakes and at sea. There is always that edgy feeling about flying over water. If the quadcopter comes down for whatever reason into water, then it is going to be ruined. Flying in rain is also another issue. You just can do it. In May 2017, Swellpro released their latest Splash Drone 3 on Kickstarter. The Splash Drone 3 has a dramatic improvement from Splash Drone 2. It comes with a quick release waterproof 4K camera gimbal called the 4kGC-2, an all in one FPV remote controller, brand new design flight control system, improved second generation power system, quick release FPV payload release, brand new design carry and storage case. Swellpro’s waterproof gimbal, the 4kGC-2 is a massive achievement and success. Many drone manufacturers have tried and failed to build a waterproof gimbal and drone. The team at Swellpro even developed a new flight controller on their own, for their own requirements, instead of buying a ready-made one, to make the drones adapt to various tough conditions. It also super easy to use. The brand new, fully waterproof 4K camera is stabilized and controlled by an active two-axis (tilt & roll) gimbal. Capture smooth videos and sharp photos both while flying as well as underwater! The highly sensitive gimbal ensures shake free footage always, even during high speed water landings, and allows the re-positioning of the camera by remote control. The camera’s external glass lens has a special super hydrophobic coating to ensure a clear, dry lens as soon as you take back to the air or when flying in rain. The Swellpro FLY app enables several smart flight modes, which drastically reduces manual input from the pilot, making flying the Splash drone even easier. Follow Me Mode – The SplashDrone 3 will constantly follow and turn towards you as you move, recording you and the scene around you in Ultra HD definition. Mission Planning – Tap to select waypoints on a map and the SplashDrone 3 AUTO will execute the mission; circling, pausing and changing elevation according to the selected route instructions. Tap To Fly – Tap on the map where you want your drone to go and Splash Drone will navigate to the destination and hover, awaiting further commands. Circle Flight – On any waypoint, select a circling radius and number of circuits to perform to capture the perfect video with your chosen subject always in the middle of the frame. Smart Cruise – Allows you to really concentrate on filming. Switch the Remote Controller into Smart-Cruise mode and you will be able to pan (yaw) and fly the Splash Drone with a single joystick, making your flight path smoother and more cinematic. Return To Home – Tap Return-Home on the app or flick the Return-Home switch on the remote controller, and the Splash Drone 3 will adjust its altitude to the pre-programmed safe flight level and fly directly home before landing gently without any input from the pilot. There are many more features to this quadcopter. Read the full review including specifications of the Splash Drone 3 Auto here.